Since I was a young girl my family has always loved to travel and see the world. In fact one of my earliest memories is visiting the Grand Canyon and traveling to Arizona. Growing up I was definitely inspired by seeing new places- whether they were a new town within driving distance or a new adventure across the world. This sense of adventure has only continued throughout my life and it is one of the things that I obviously write the most about on this blog. (You can read more of my travel adventures and stories HERE.) 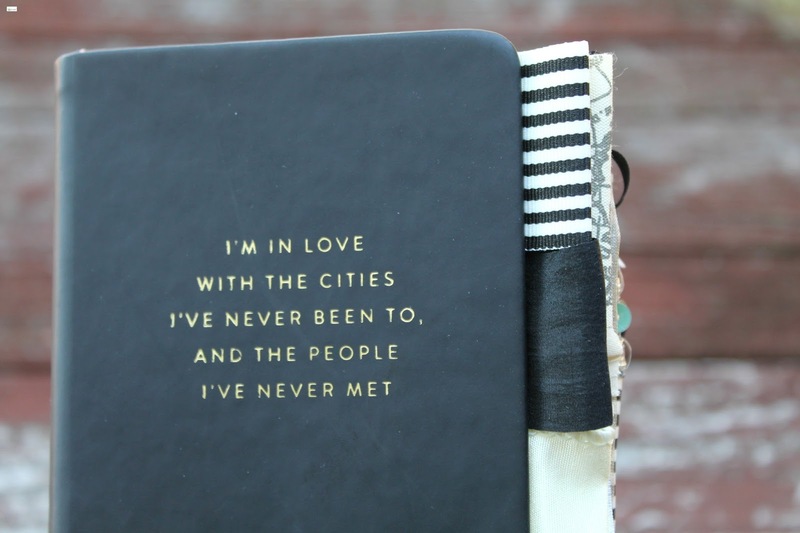 This quote- "I'm In Love with Cities I've Never Been to, and the People I've Never Met" fits me in absolute perfection and is one of the reasons that I have it on my travel page. I will research a new place that I am writing about or visiting and immediately I fall in love with new corners of the world. So when I saw this journal I knew immediately that I had to create one of the shop. 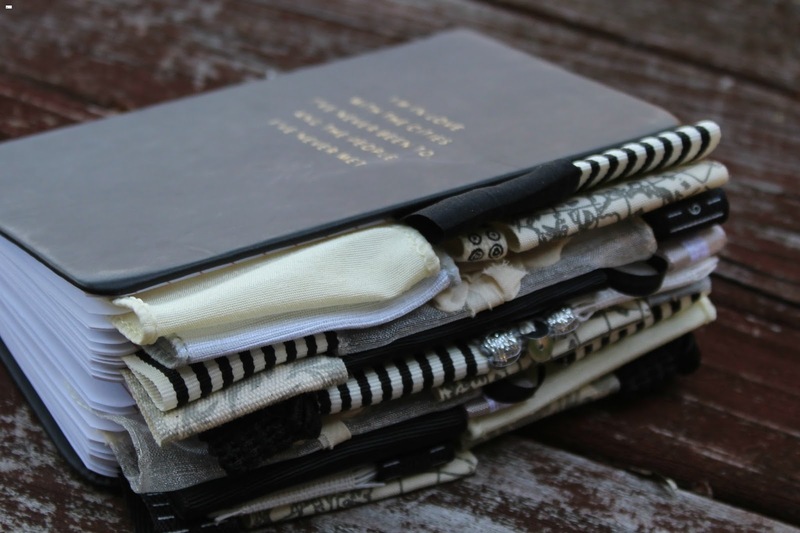 This altered travel journal is the perfect size and also weight- it will easily fit into your luggage or a small purse so that you can carry it with you where ever you go. It is approximately 3x5 and it is extremely lightweight. 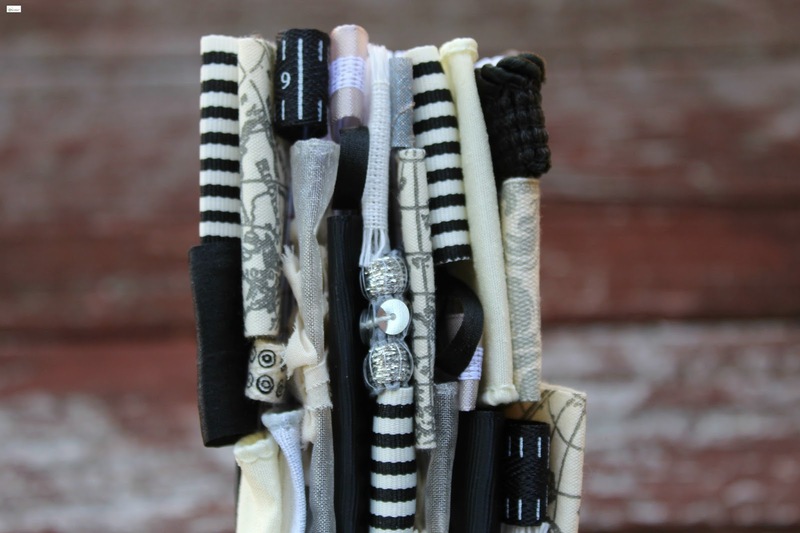 This altered travel journal turned out so classic y'all and I loved the combination of the neutral tones of black, ivory, grays, and cream colors. In my opinion it gives a look that is timeless. 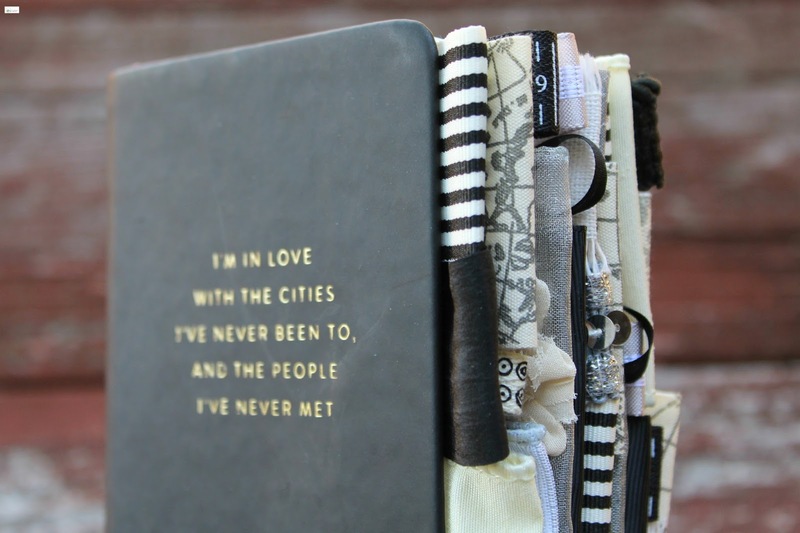 If you are interested in purchasing this altered travel journal you can find it HERE. 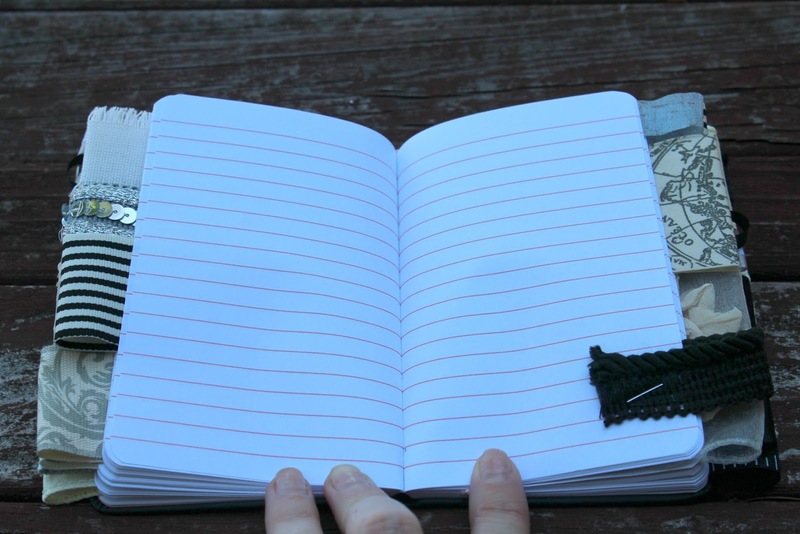 If you are interested in looking at other altered travel journals that are available in the shop you can find them in the altered travel journals section HERE. Ohmygosh! 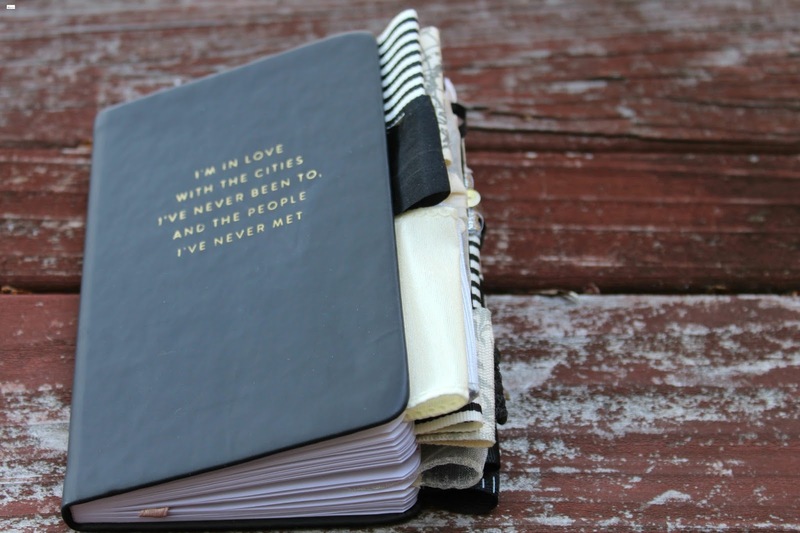 What a fantastic notebook! Love it! Aww that is so sweet of you! Thank you so much for your sweet and kind words!! I hope that you have a wonderful Tuesday!